HP Motor Wreckers is located at 125 Plenty Road in Preston. They are a unique motor wreckers which caters for older style vehicles from 1950 through to the late 1980's. Stephen Patton, owner of HP Motor Wreckers, strives to satisfy his customers by supplying parts for older vehicles at reasonable prices and has many regular customers. Other parts include seats and interior trim pieces, chrome trims, head light and tail light assemblies, badges and many assorted replacement lens are available. HP Motor Wreckers are extremely unique due to their chosen specialty of car dismantling for cars made between 1950 and late 1980's. They have many parts and panels that are rare and hard to find. 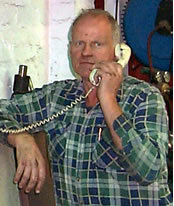 Stephen Patton has close to 40 years of experience within the car dismantling industry. 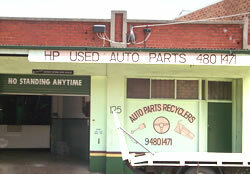 He owns and operates HP Motor Wreckers which for the past 27 years has been servicing the local community within Darebin. If HP Motor Wreckers don’t have that part your looking for in stock, chances are that they may have it in their storage yard that has over 350 older model cars to source from. When you love your older model car Stephen is more than happy to help you find those parts to keep it on the road.